After I finished writing my original story, I decided to get caught up on my reading and I recently finished a couple of books. The first I'll discuss is Shades of Atlantis by Carol Oates. Shades is about finding your soul mate. Not someone you merely fall in love with, but the one you're destined to be with. The first half of the book focuses on Triona and Caleb, a couple who have met each other...and they can't resist one another. I liked the second half of the book and how it tied into "Atlantis." I also liked how the author wrote Triona. In the beginning of the story, she seemed a little immature and had the habit of pouting a lot. The character really developed throughout the story and became a strong woman. I enjoyed reading that transformation. 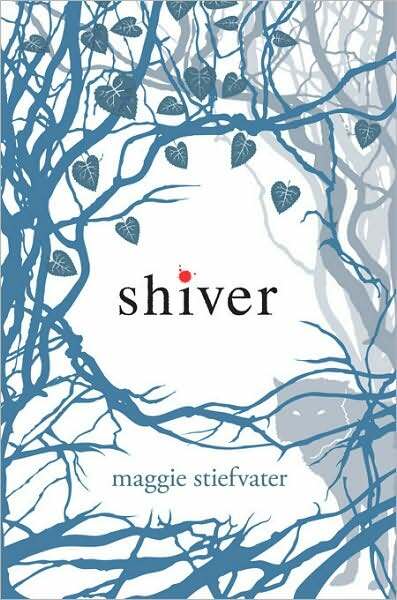 The other book I recently read was Shiver by Maggie Stiefvater. Anytime you write a book about wolves, I'm in. This story is about a girl named Grace who gets attacked by the local wolf pack when she's a kid. In the midst of the attack, she meets the yellow eyes of one of the wolves and this wolf gets the others to leave her alone. Years later, she meets a young man named Sam...who just so happens to have the same yellow eyes as her savior wolf. It becomes very clear to Grace that they are one and the same. This story is about star-crossed lovers. The pair falls completely, madly in love with each other. But like any good love story, there's a catch. Sam can only stay in human form while it's warm out. As soon as winter hits, he'll change into his wolf form...and there's a time limit on how much a wolf can change from animal to human before they become wolves permanently. This might be the last time Sam and Grace can be together. I really loved this story. My only complaint was that it could get overly descriptive and I sometimes found myself skimming paragraphs. I mean, did we really need two pages dedicated to the process of making a quiche? But the story basically focused on the love these two had for each other. There were other outside elements and problems that the pair faced, but it remained a love story throughout all of it. Shiver wrapped up in such a way, I'm almost afraid to read the sequel, Linger. I'll probably eventually buy it because I want to see what happens next for Grace, but I'm going to wait for now. 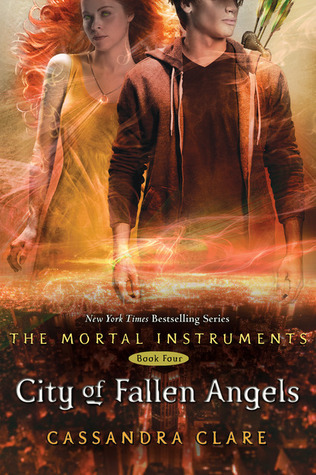 My next read is going to be City of Fallen Angels by Cassandra Clare. This is the fourth book in her The Mortal Instruments series. It currently has five stars and 190 reviews on Barnes & Noble's website...not too shabby considering it just came out this week. I've been waiting and hoping for this book since I read City of Glass. And as soon as the USPS gets their butts in gear and delivers the CoFA I ordered, I'll be able to start reading it.